Any nurse will appreciate this great shirt! 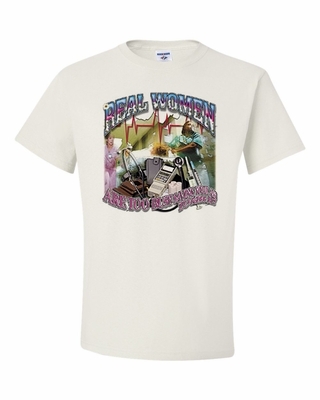 Available in many colors and styles, our Real Women are Too Busy t-shirts and sweatshirts are sure to please. Add a Real Women are Too Busy coffee mug for their favorite beverage. Remember� you found the Real Women are Too Busy Shirts at TShirtHub.com, where high quality came at a low price.